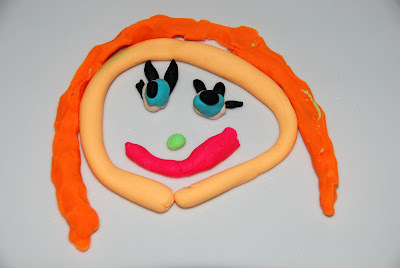 The girls and I played playdoh. 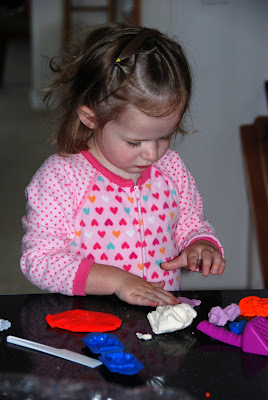 Ivy had slept in her own bed for 3 nights, so she earned a prize of 3 new playdohs. The girls had a great time and Jade created an adorable face- with eyelashes. After playdoh, we ate sweet rolls, took a bath and spent an hour and a half walking through Costco. Of course we had lunch at Costco- PIZZA. Then home for Ivy's nap. 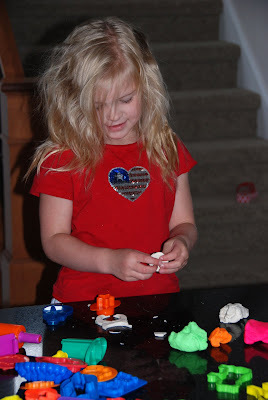 The playdough face is a classic. Glad you took a picture of it. It's fun to see the "artist gene" in another generation!